Some people like their soup, like they like their coffee, hot. Is that you? Or are you a cold soup lover? I definitely enjoy chilled soups (and iced coffee) during the summer months. Pair with a cold salad and you have the perfect summer lunch. 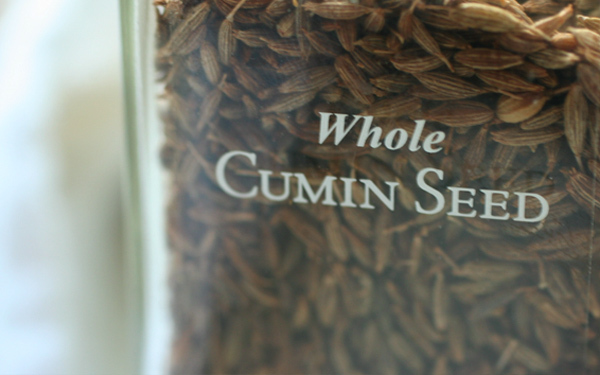 Oh and let's talk for a minute about cumin. Whole cumin seeds are pungent and really flavor a dish, especially when toasted. 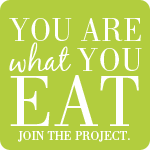 Whole cumin seeds are usually easy to find in the spice aisle of your local grocery store. I think the whole seeds are superior in taste to the pre-ground stuff. Cumin is used in some cultures to treat headaches, indigestion and liver problems. This spice is cooling for to the body, which is ideal in this heat. Preheat oven to 350. 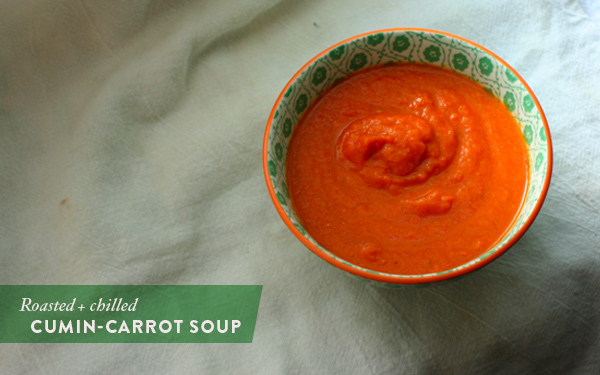 Add the carrots, tomato, onion and garlic to a bowl. Drizzle with olive oil and mix well with hands. Spread the carrots, tomato, onion and garlic onto a large baking pan. Sprinkle with cumin and sea salt. Roast for 20-30 minutes, until the vegetables start to brown lightly. Remove from heat and blend with 1/2 c ice water and the lemon. Add more water if you like your soup thinner. Refrigerate until cold. Garnish with a dollop of plain yogurt, if you'd like. This looks soooo good, not to mention beautiful and that little bowl. It looks like something from Anthropolgie? The color of this soup is amazing! Yep, the bowl is from Anthropologie! I love how spices have therapeutic benefits.